Thanksgiving is over which means the winter holiday delights are in abundance. Hooray, eggnog!! It seems to be one of those things people either love or loathe. I happen to love it! That spicy nutmeg and cinnamon flavor mixed with creamy sweetness... good thing I can't drink very much of it. And luckily there are tons of "skinny" eggnog options out there. I found a lovely pumpkin spice "almond nog" by Silk that's only 50 calories per 1/2 cup. It's also dairy and egg free. I had some of my leftover cranberry sauce from Thanksgiving and eggnog and cranberry seemed like the perfect combo. 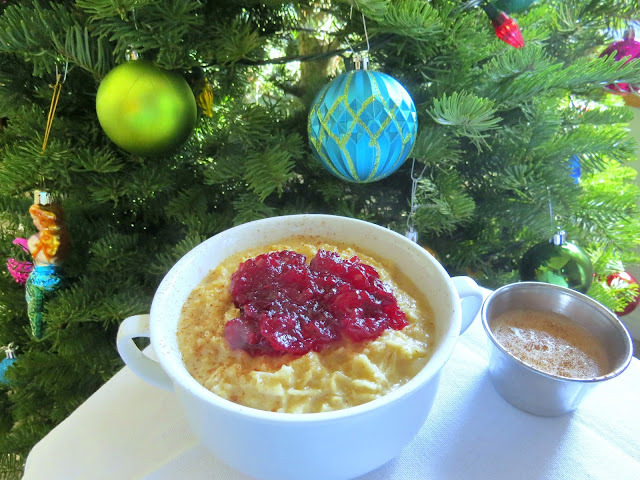 Trying to lean out for our annual trip to Cabo in a few weeks, I opted to make a skinny baked oatmeal with eggnog and cranberries as the highlight. All the fun and taste of true holiday flavors without the guilt! The tart cranberries perfectly complement the sweet richness of the eggnog for a deliciously healthy breakfast, snack, or dessert! 1. Bring almond nog (or eggnog of choice) and water to a boil. 2. Add oats and simmer 5-10 minutes until oats have absorbed most of the water and reach desired consistency. 3. 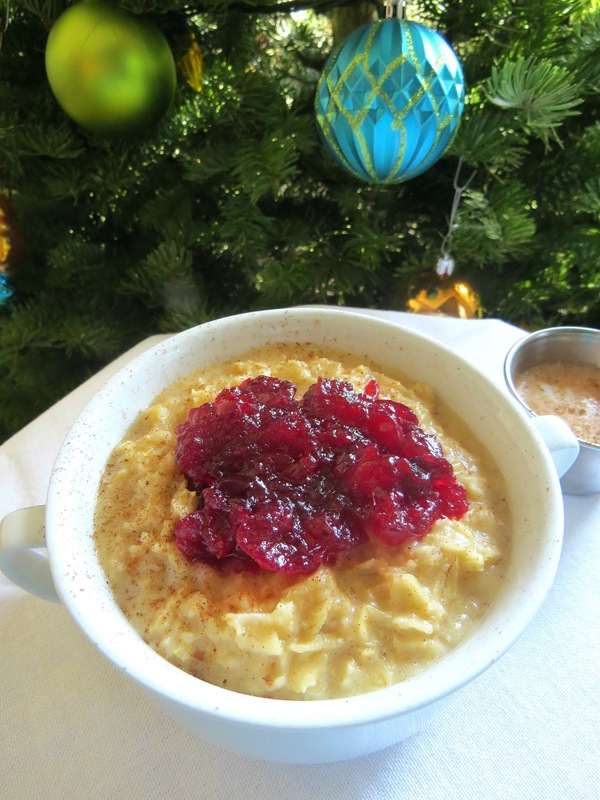 Pour oats into two small bowls and top with 1-2 Tbsp cranberry sauce. 4. Add additional cinnamon and nutmeg and/or drizzle with maple syrup if desired. I've never thought to make oatmeal taste like eggnog! Such a great idea!